Policies & ProceduresDining Services Policies and Procedures - Long Term Care Communities, 2014. Simplified policies and procedures manual. 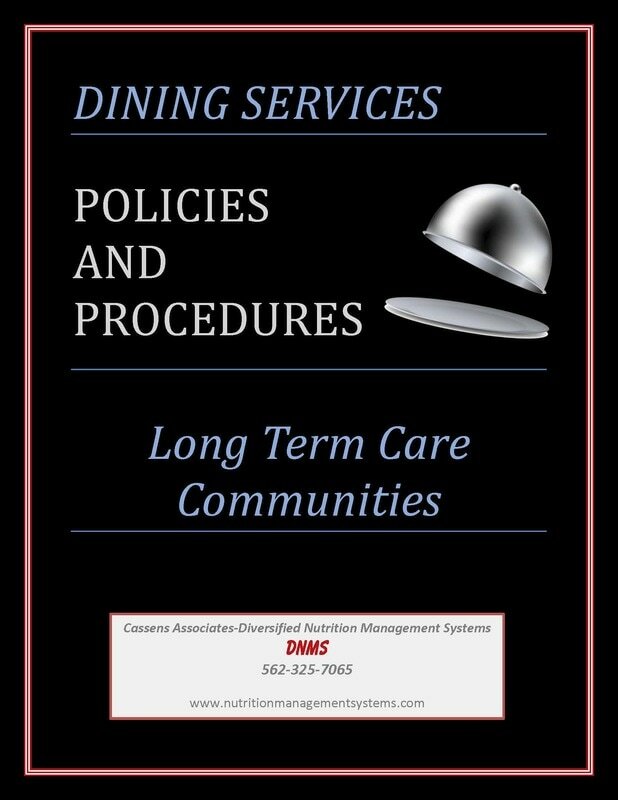 The 10 chapters include 32 detailed cleaning procedures for equipment and physical plant areas, QAPI instructions and forms, a disaster and emergency management plan with sample menus and inventory, and 20 in-service lesson plans. I'm available for seminars, workshops, webinars and classes. Contact me for additional information or if you have specific topics you'd like me to develop for your presentation. Your Dining Services - Have you looked at it lately? Are you ready when the attorney calls? Help! I was just diagnosed with .......! !